The simulator has been delivered to the Churchill Hospital Cancer Centre. 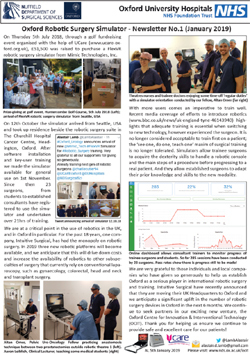 The news of the arrival of the scanner was announced in an Oxford University Hospital Newsletter. We are very grateful to those individuals and local companies who have given so generously to help us establish Oxford as a serious player in international robotic surgery and training. Robotic surgery is the future of surgical treatment for prostate cancer with the potential to dramatically reduce length-of-stay in hospital, time taken to return to work and the productivity of urology surgeons. 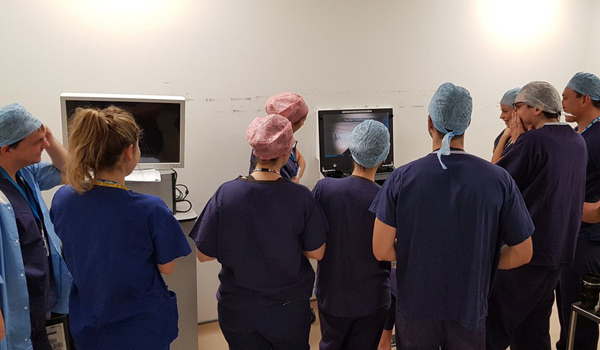 It is important that university teaching hospitals such as Oxford University Hospitals NHS Trust take a lead in training robotic fellows to perform this complex surgery. Men with prostate cancer in the Oxford region will benefit from this additional man-power and expertise. The Urology Department is fully equipped with state-of-the-art robotic equipment (da Vinci Si robot, Intuitive Surgical Inc) and performs increasing numbers of robotic operations. The aim is to make Oxford a leading International centre for robotic training but a vital component of this is simulator training. This enables aspiring robotic surgeons to become familiar with the equipment and key steps of each operation before commencing supervised modular training on real patients. 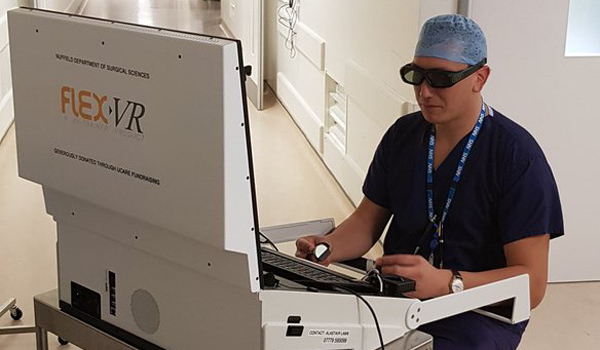 We have now funded the purchase of a Mimic Robotic Surgery Simulator FlexVRTM, and are proud it is already training the next generation of robotic surgeons. This is a new generation simulator brought to the market by Mimic Simulation Inc and is future-proofed against new generations and models of surgical robots. It is believed to be the gold standard training for robotic surgeons and will help attract the best trainee surgeons from around the world. Funding is now complete – thank you for supporting. Being a surgeon is like being a pilot. Just as pilots must undertake a certain number of hours training, so surgeons need to notch up sufficient hours of training to be able to safely operate on patients independently. Most pilots spend their first block of hours training in simulated flying. 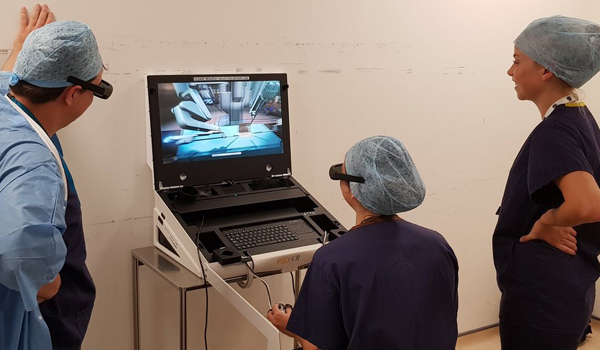 Similarly, with robotic surgery, we have the opportunity to train aspiring surgeons on a simulator before they transfer their skills to real patients.